NHL players are used to routine. They are creatures of habit. During the season, there are not many things that alter the normalcy of their ‘everyday’. Over the past two days, that routine has been slightly altered for members of the Winnipeg Jets. 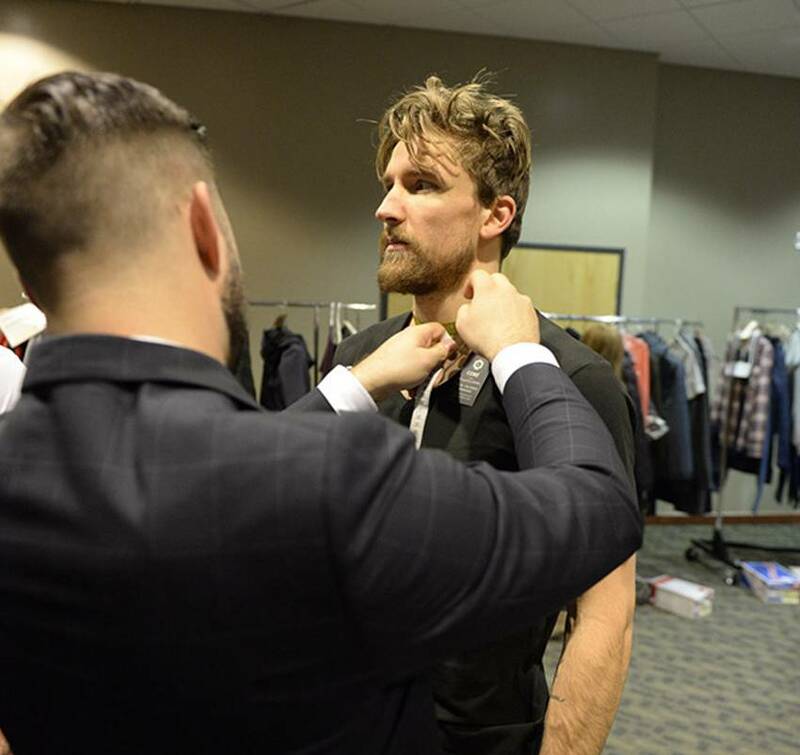 With just a week to go before the NHLPA Charity Fashion Show, the players taking part found themselves being measured and fitted as the clothing lines showcasing their wares as part of the show, worked with the players to make sure the “clothes fit the man”. 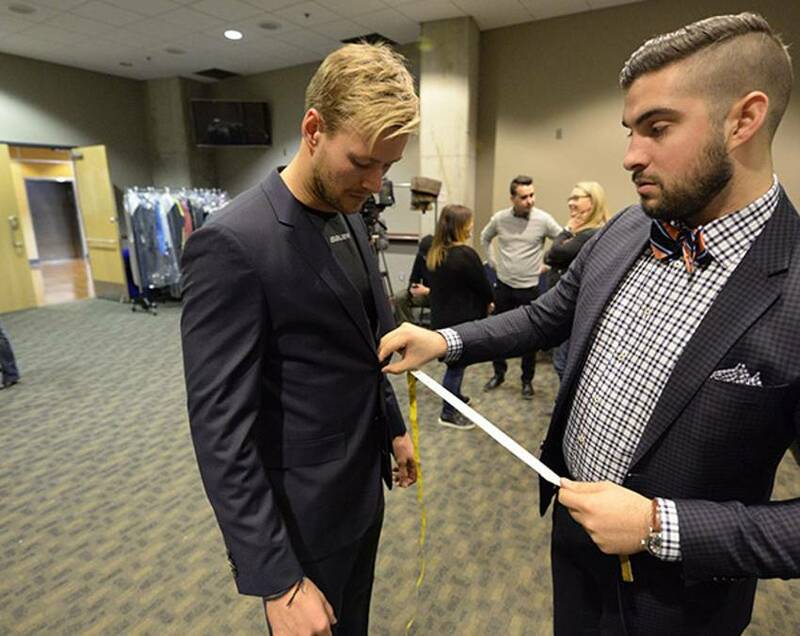 Arriving in two groups following practice on Monday and Tuesday in Winnipeg, the players were measured head to toe and fitted into the threads that they will be modeling on at the RBC Convention Centre in Winnipeg on December 8th. 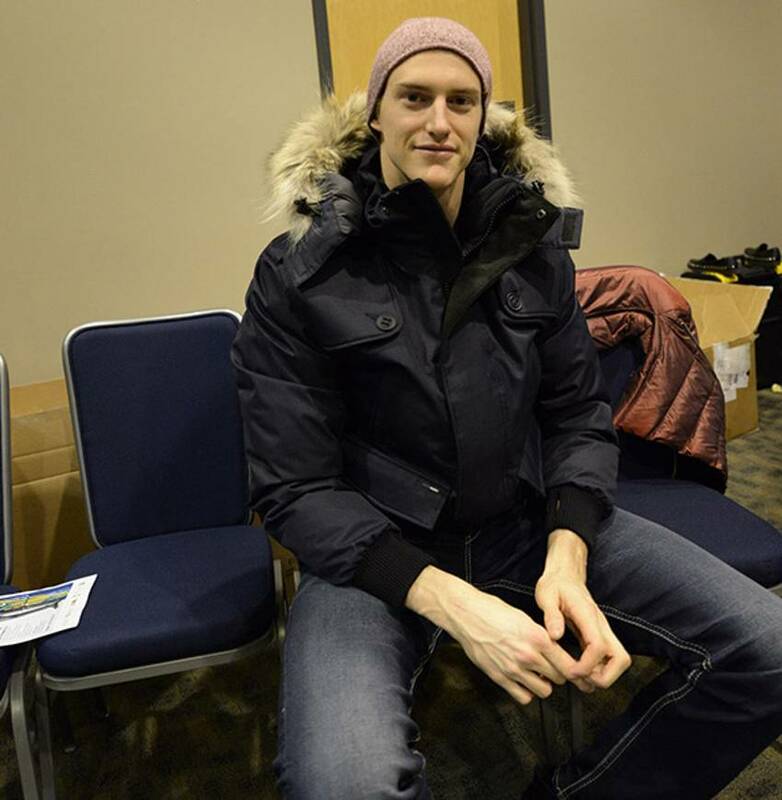 The show is a charitable event, raising money for five player-chosen charities (Boys & Girls Club of Winnipeg, KidSport Winnipeg, Children’s Hospital Foundation of Manitoba, Marymound & Can DO People Inc.) as well as the Jets’ True North Foundation. 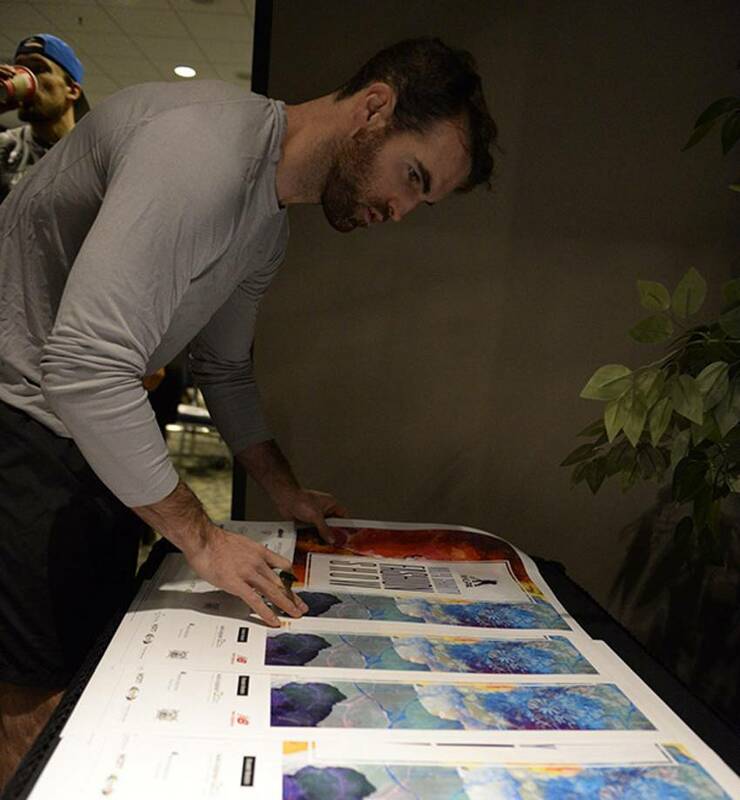 Captain Andrew Ladd leads the list of players participating, which includes Jacob Trouba, Chris Thorburn, Mark Scheifele and many more. 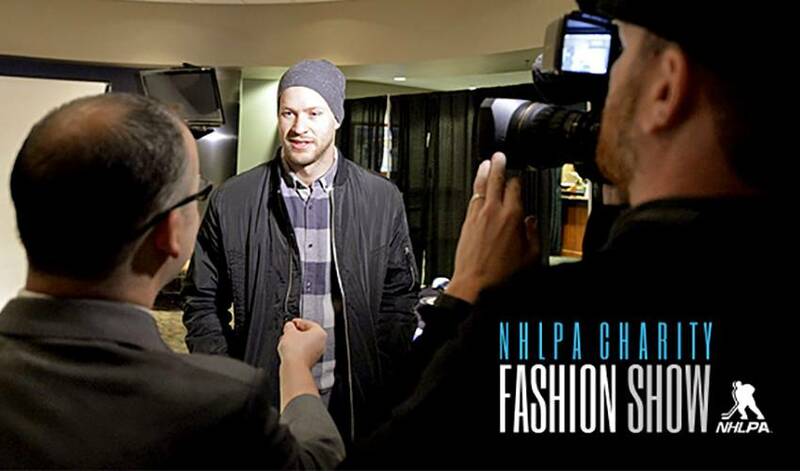 For tickets to the show to help the players support these worthy causes, visit Ticketmaster.ca.